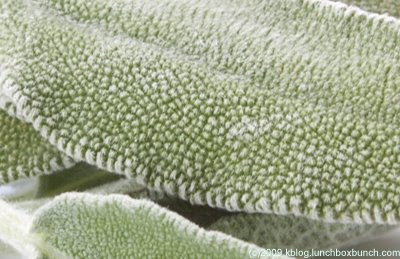 Mystery Photo: What is this Edible Delight? Add your guess in the comments, or keep it to yourself. I'll post the answer later tonight when I feature it in a delicious recipe! HINT: It feels like a kitty cats ear. It was herb of the year in 2001. About Rosmarinic acid: It can be readily absorbed from the GI tract, and once inside the body, acts to reduce inflammatory responses by altering the concentrations of inflammatory messaging molecules (like leukotriene B4).